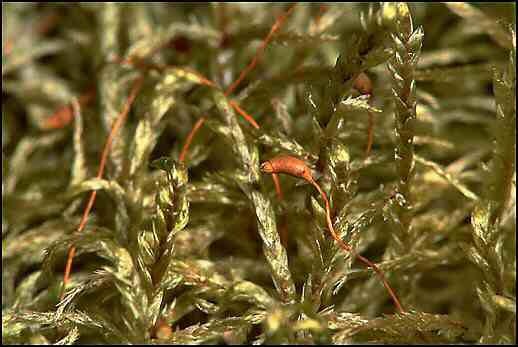 Pleurozium Schreberi is one of the most common mosses in the boreal forest. From Plants of the Western Boreal Forest: "The spore capsules of big red stem are rarely found, so sexual reproduction seems to be rare (possibly because of a lack of male plants), and there is no known mechanism of vegetative reproduction (other than stem fragmentation). It is interesting to speculate how a plant with almost no means of reproduction could become so common and widespread all around the world." 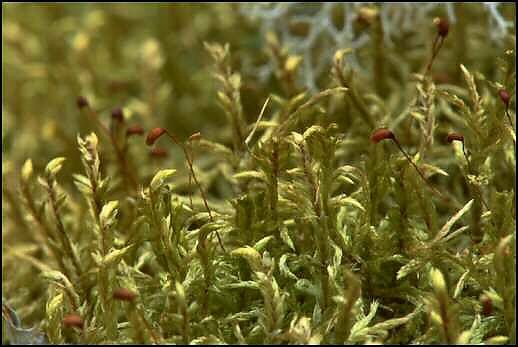 Note: Schofield (1992, pg 218) says the sporophytes are occasional to locally abundant.